These two sea otters float on the ocean, startled by something. One of them has a clam which is crushed against a stone resting on its chest, and it is stabilized by kelp wrapped around its body. The male seal is alert while its mate lies on the rock. 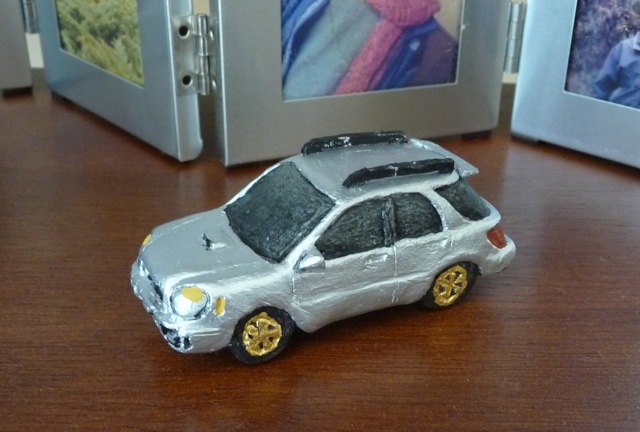 This is a 1.5 inch long model of my son’s car, a Subaru Impreza, which he uses for rally cross racing successfully on vacant lot trails. My deteriorating eyesight makes precision work difficult and the rough appearance of the car testifies to it. 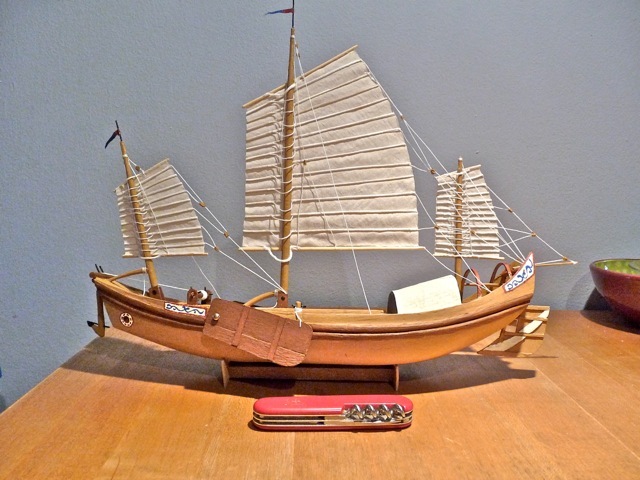 My Chinese aesthetics compelled me to make things with Chinese characteristics. 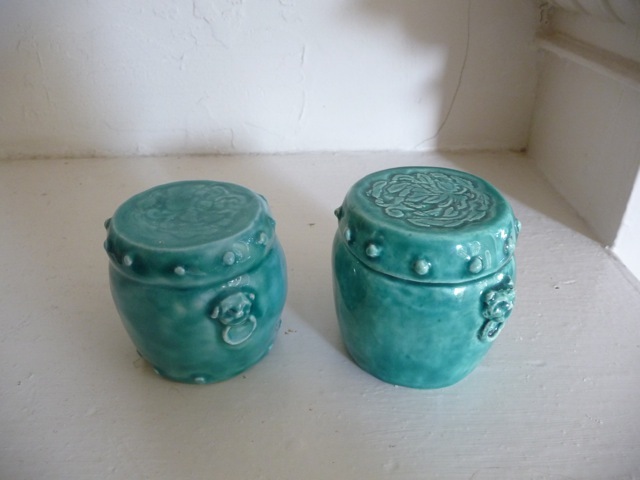 These are miniatures of ceramic stools used in Chinese gardens. 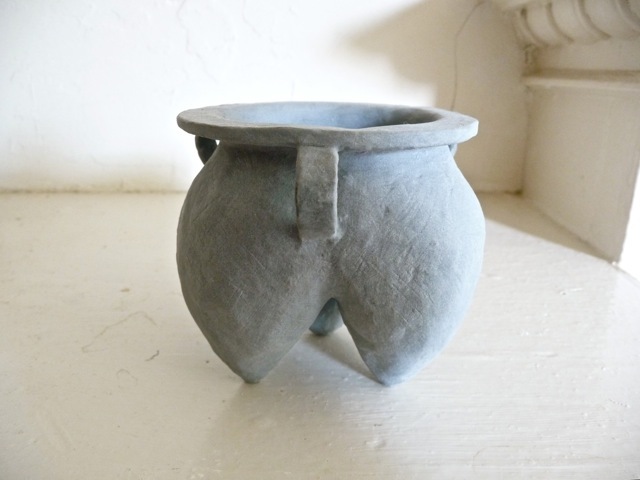 This is a reproduction of a neolithic ceramic tripod urn used in China 5,000 years ago. There are places and situations Sally and I enjoy being together. We may not be able to own them, but we can visualize being there. 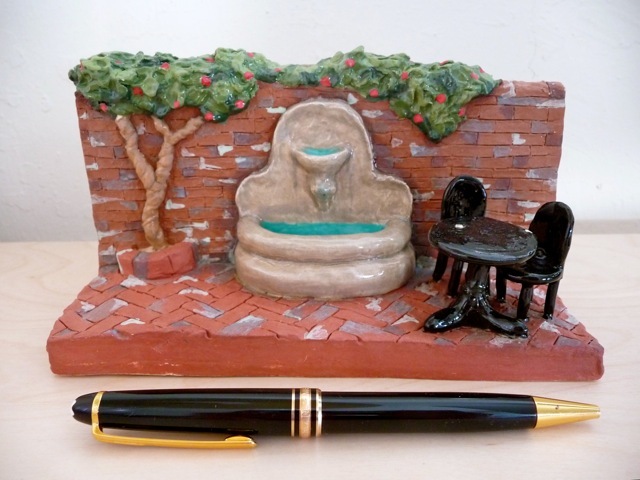 This diorama is an intimate little yard in New Orleans. It has herringbone brick floor, a fountain against an old brick wall, a flowering vine, and two chairs for us to relax in. We would also enjoy sharing cups of coffee on a hilltop patio looking down at a lakeside forest with brilliant autumn colors of red, orange, yellow, brown and green. 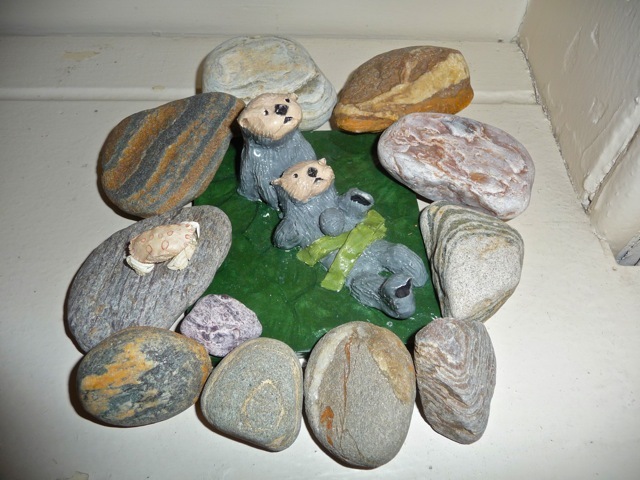 Then I wanted to include our earlier creations into these dioramas. 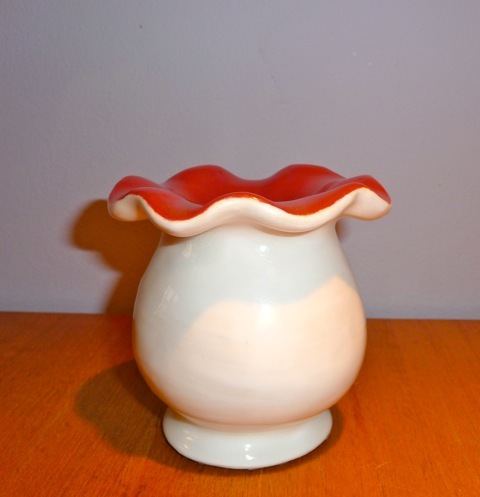 One of them is Sally’s vase with delicate wavy lip. Another one is a sand junk model I made with coffee stirrers. 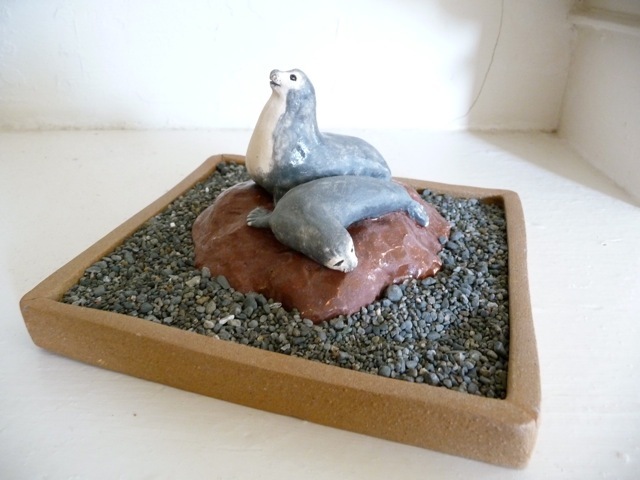 And the third one is a sculpture of Sally and me climbing up a stairway. 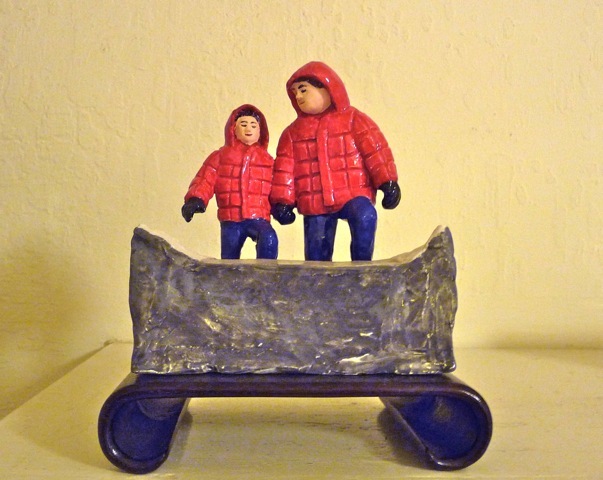 I created a diorama of Sally and I toasting our feet by the blazing flames of a fireplace in a cold winter night. 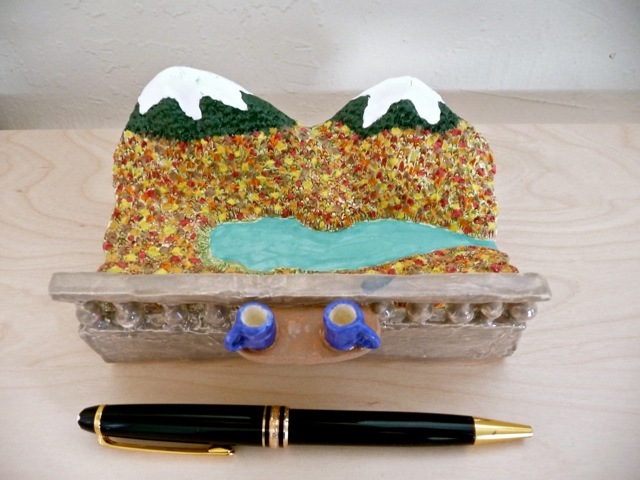 The mantel of the fireplace includes models of our three earlier creations. Posted by Robert Wu on Sunday, November 13, 2011, at 9:56 pm. Filed under Uncategorized. Follow any responses to this post with its comments RSS feed. You can post a comment or trackback from your blog.